In October training programs in the Eight Extraordinary Meridians Qigong / 8 ExMs will begin. This is described in the free book and audios available on the Home / front page. This is a Neidan form of Qigong – it is ‘Internal Qigong’. 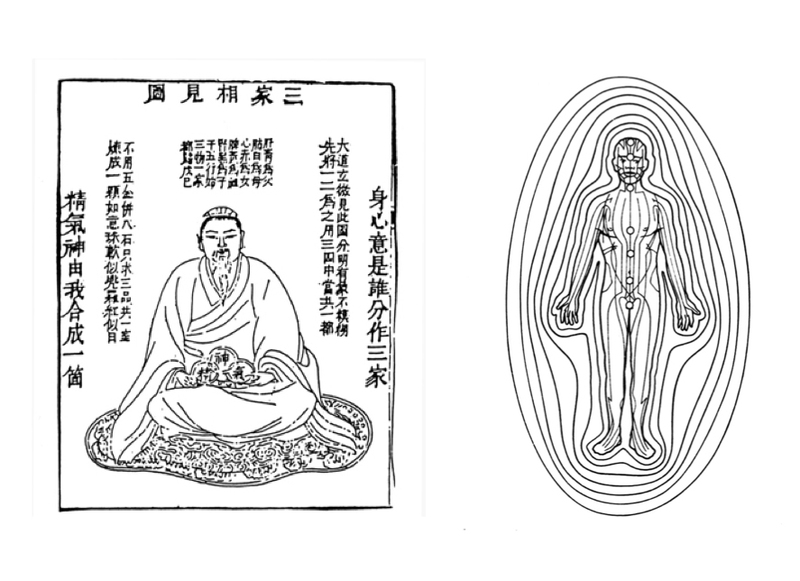 The other major kind is known as Weidan – ‘External Qigong’. In broad terms Neidan could be described as meditation, while Weidan could be described as exercise. The majority of Qigong that is widely familiar is Wei Dan – people, often in groups, doing exercise routines together. In China this often happens in the public parks. This may account for 90+% or more of what is generally thought of as Qigong. The 8 ExMs Qigong consists of x3 three-month sections – Autumn, Winter, Spring – which are accumulative and progressive. A student can just do section 1, or 1+2, or all 3. Each section covers the material in the free book and audios, available on this site under the Eight Extras Book heading on the top menu line. The advantages of doing a class are that it involves personal oral instruction, and also that it takes place within a group setting and therefore includes the collective ‘Chi Field’ and shared experiences of the group. Section 2: Cleansing Emotions, Cultivating Virtues, The Macrocosmic Orbit. Section 3: The Belt Channel, The Thrusting Channel, The Master and Coupled Points. Classes will take place at 26 Hope Street. In the 2018-19 programme there are three classes, which are the same material, so there is choice of times. 7:30 – 9:00 pm. James MacRitchie. Intro: Thurs 11th October at 7:30pm. Class starts Thurs 18th October. Classes are limited to 8 students. You can reserve a place in advance with a £30 deposit, refundable on cancellation if a replacement is found. To be added to a mailing list, and informed of future programs, please send your email address. For further information phone, or email via the contact link above.